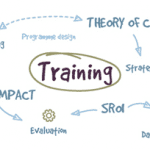 News of upcoming training programmes, briefings and special offers. Keep up to date by completing the form below and clicking ‘subscribe’. All fields in the form are required so that we can ensure we only send you communications we believe are relevant to your job and your organisation. You will be able to unsubscribe when you receive a mailing from us but please note that this will mean you no longer receive any updates from us. We send out marketing emails to sell our services. Under data protection legislation, if you receive a marketing email from us, we believe we can demonstrate having a legitimate interest in using your information for marketing purposes. This is based on the fact you will have, within the last three years, have indicated some interest in our services through either opening a marketing email, subscribing to our newsletters and updates, enquiring about our services, or engaging in a commercial transaction with us. It is possible to opt-out of receiving these marketing emails at any time through an ‘unsubscribe’ button at the top of each communication. See our privacy notice for more details. We do not intend to mail sole traders or anyone who does not have a ‘business’ email address unless they have specifically consented to be added to our mailing lists. If you are not yet a customer but are a sole trader or individual and you want to receive our updates and mailings, you will need to sign up using the above form.